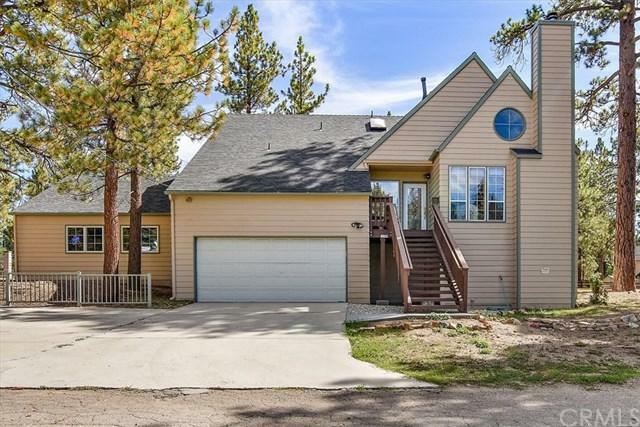 Offering the perfect place for fun gatherings and memorable vacations in Big Bear, this fully furnished home blends a mountain cabin feel with modern features. 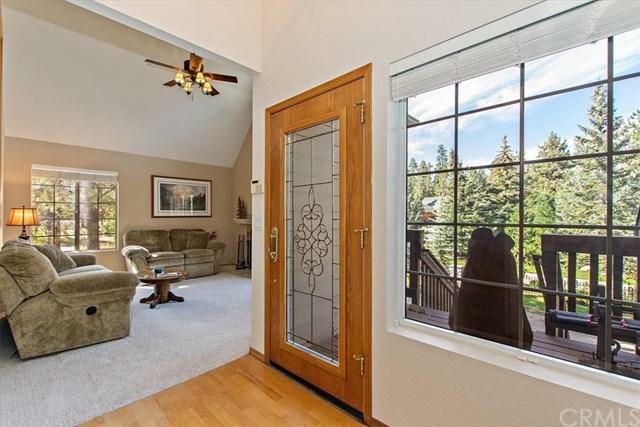 Vaulted ceilings and large windows highlight the home, which is enhanced by a new roof and several sliding glass doors opening to outdoor spaces. Wood flooring, window seats and fireplaces are presented in the 4-bedroom, 3-bath plan, which includes an additional oversized room with 6 beds, increasing the home+GGs sleeping capacity up to 15 people and making it a great place to live year-round, vacation or use as an income property. The residence reveals a comfortable living room, and an enormous game room with sliding doors to the backyard, numerous windows, built-in seating and an impressive amount of space for a pool table and so much more. An informal great room includes a den area, dining space, a built-in desk and an island kitchen with bar seating, pantry and stainless steel appliances. A private master suite features direct access to the outdoor spa, a tiled bath, walk-in closet, dual sinks, a soaking tub and separate shower. 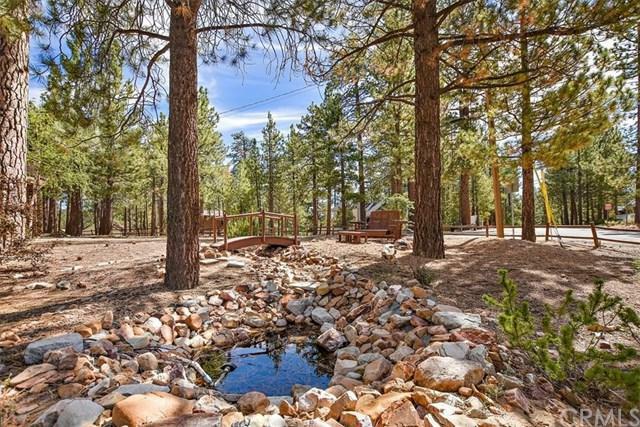 Located near Gilner Point, the freshly painted home is settled on a wooded site of nearly +-+ acre. A wraparound deck with a peek at the lake covers a space for boat storage and overlooks a shaded yard with tall pines and a decorative creek bed. 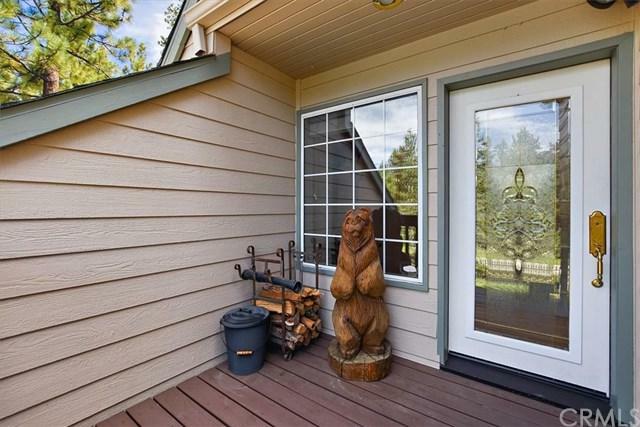 The home is just 2 houses from the Big Bear Lake and only a few minutes to Big Bear's lively village.